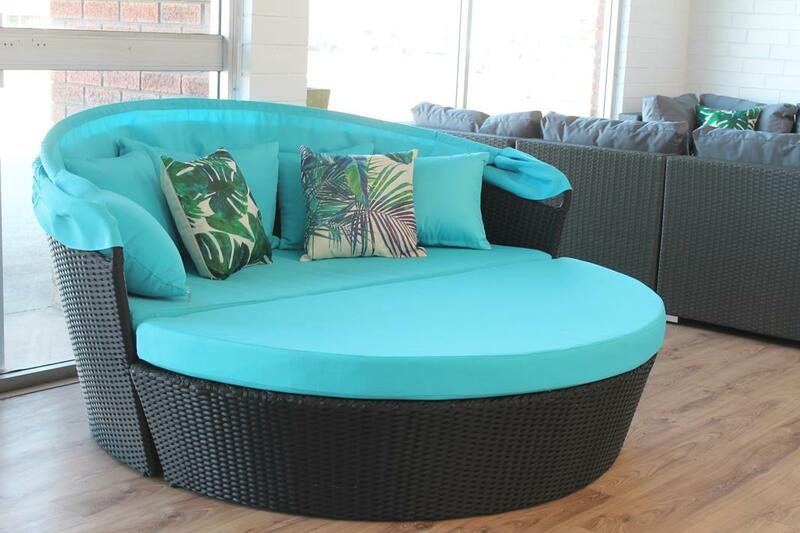 This impressive day bed is perfect for a patio or by the pool. 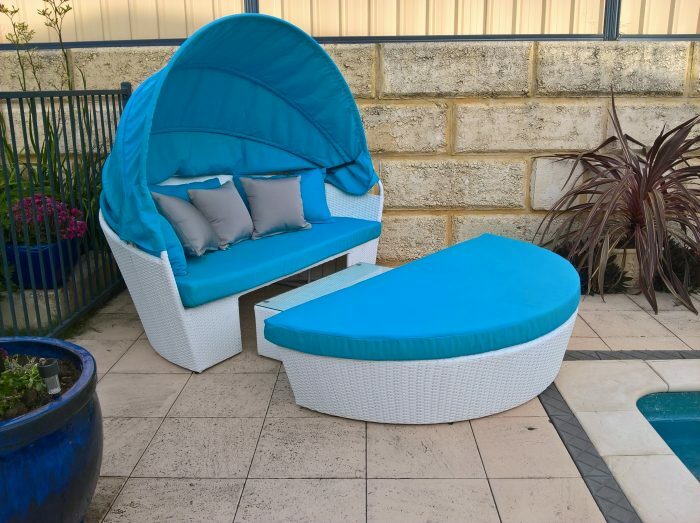 So comfortable and shady for reading a book, or having a drink. Pull the two sections apart into two sofas, with a hidden coffee table. Perfect for entertaining. 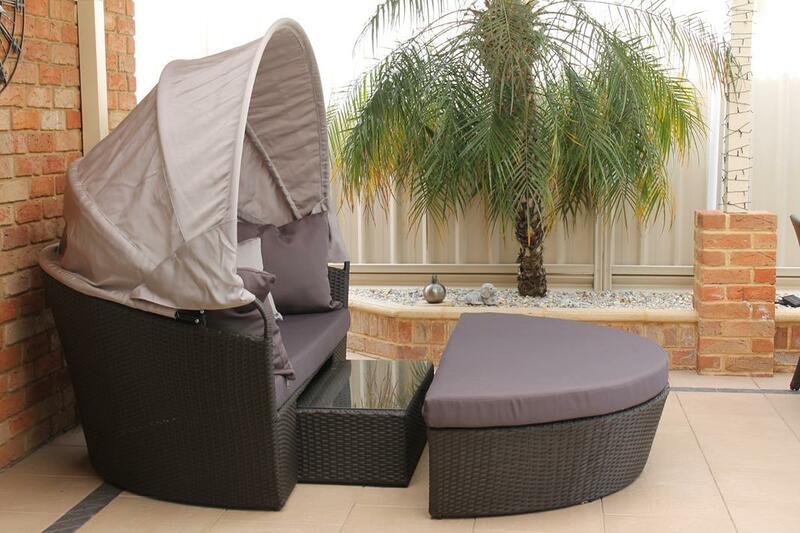 The versatile canopy can be pulled up or down, to create two distinct looks. The total size is 180cm wide x 180cm deep x 160cm high. 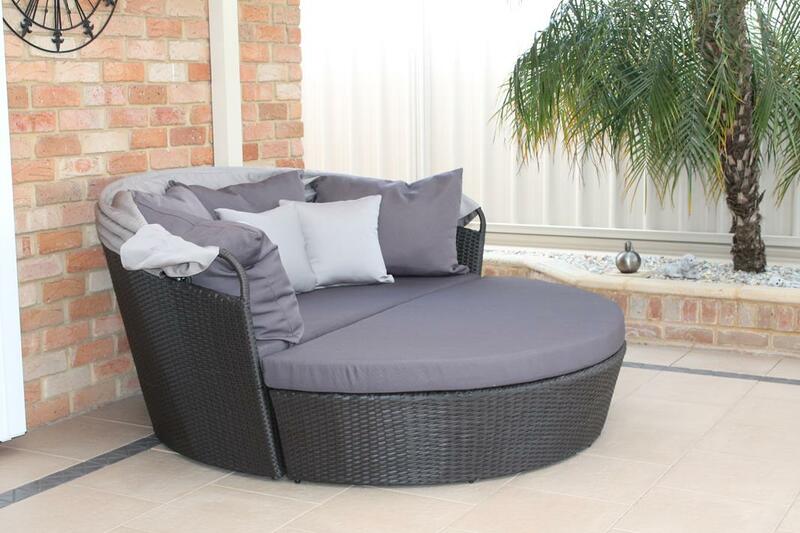 Weather resistant PE rattan which is made to last in the sun and rain. 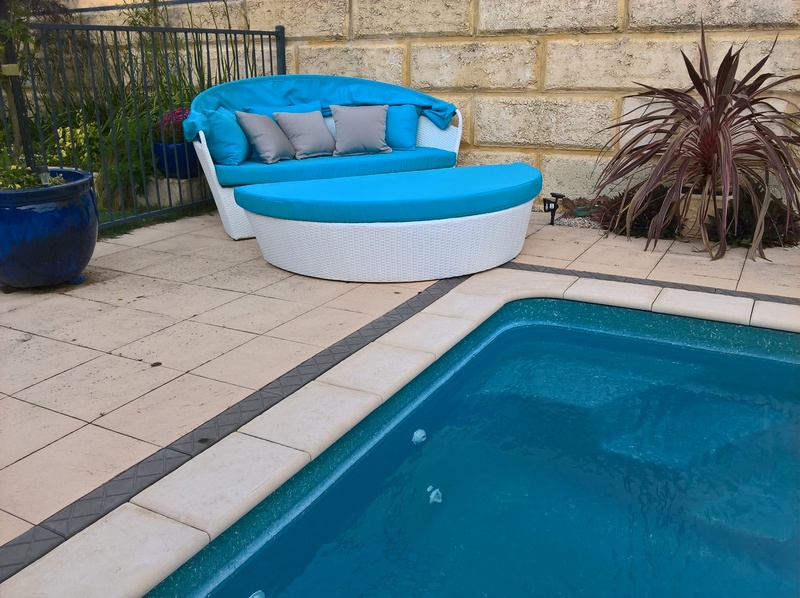 UV protected polyester fabric. The seat cushions and pillows unzip for washing.